Each time a city is chosen for holding an important event such as the Olympics, it transforms the city’s landscape forever. Glittering new sporting venues shoot up along with parks, flyovers, apartments and other structures. The entire city gears up for the arrival of hundreds of thousands of visitors. Infrastructure assumes paramount importance. Suddenly, there is money to build new water/wastewater treatment plants and power stations. And yet, after every staging of such an event, the experience gathered in terms of construction, management, design, engineering, procurement and innovation is not shared freely. Documentation of the knowledge gained is not available in one place, or is not easily accessible. All this has changed with the London 2012 Olympics. The ‘Learning Legacy’ (http://learninglegacy.independent.gov.uk) is a storehouse of information on the Games which will surely help to raise the bar in the construction sector. Rich in short reports, tools, templates, case studies and research summaries, the website examines different themes underpinning the London Olympics. A search on water takes one to the many documents on water such as the ‘Olympic Park water strategy’, the ‘water management plan’, ‘Restoring the Olympic Park waterways’ and more. Despite being a marketing tool, the documents share a number of genuine lessons such as the pitfalls of setting quantitative targets like 40% water savings compared to 2006 industry standards. The stiff targets led to a struggle to reduce potable water demand and increase non-potable water sources such as recycling in the different venues. Problems arose with baseline demand values changing as the project progressed and more information became available. Setting water reduction targets for unique buildings or large complex programmes without detailed water demand modelling can defeat the very purpose of sustainability. 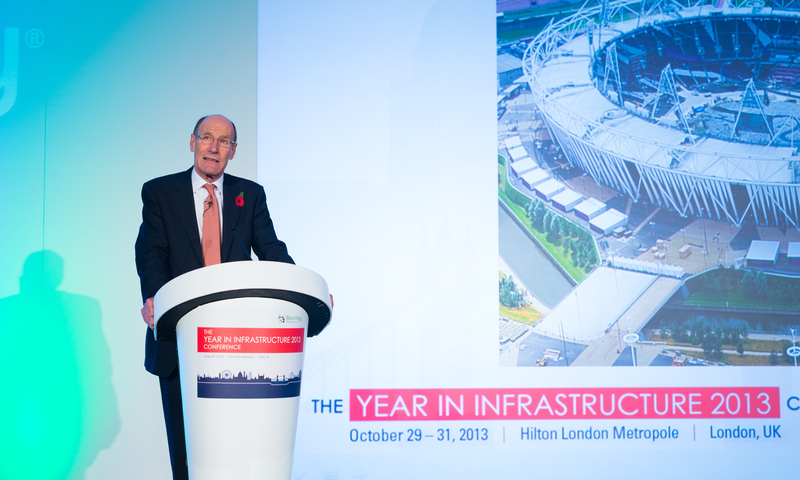 At Bentley’s Year in Infrastructure Conference held in London recently, the keynote speech delivered by Sir John Armitt, Chairman of the Olympic Delivery Authority offered some invaluable insights into the preparation that led to the world’s largest sporting spectacle. While showcasing the successful delivery of Olympic facilities within time and budget, Mr Armitt candidly highlighted how a lot more money could have been saved by modifying designs in keeping with the long-term use of buildings. He dwelt on the unsuitability of trying to secure wind turbines to meet the renewable energy target for the “greenest games ever” and admitted that more solar energy could have been used. Sustainability goals need to be rooted in the reality of costs and practicality. The biggest message that comes from both Mr Armitt’s speech and the ‘Learning Legacy’ is collaboration. Flagging up concerns, not hiding behind contracts but speaking openly about problems and finding the best solutions possible…this is the way to move forward and leave a legacy of learning not just from the Olympics but from every large-scale project.